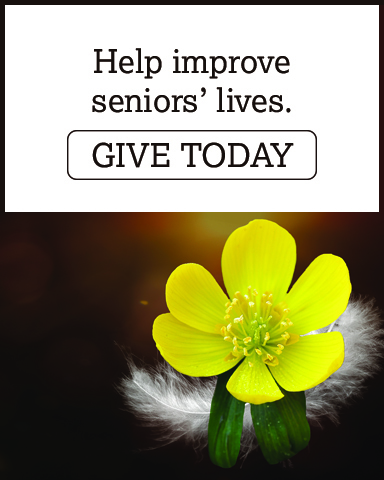 Retired & Senior Volunteer Program (RSVP) - Senior Services Associates, Inc. The Retired & Senior Volunteer Program (RSVP) is part of Senior Corps, a national network of service programs that provides older Americans the opportunity to apply their life experience to meeting community needs. RSVP volunteers serve in a diverse range of nonprofit organizations, public agencies, and faith-based groups. Among other activities, they mentor at-risk youth, organize neighborhood watch programs, test drinking water for contaminants, teach English to immigrants, and lend their business skills to community groups to provide critical social services. RSVP is sponsored by Senior Services Associates. Who do I contact to be an RSVP volunteer or ask for help? RSVP is open to people age 55 and over. Local RSVP projects recruit seniors to serve from a few hours a month to almost full time. Volunteers must serve no less than three (3) hours for the days in which you are requesting reimbursement, this includes travel time to and from the assignment. Checked box indicating reimbursement YES. An annual volunteer recognition event is held in order to thank active RSVP volunteers for their hours of service. Department on Aging. Our project is working to solve essential community needs by focusing on the following areas of need. The Corporation for National and Community Service 2011-2015 Strategic Plan outlines the strategy for addressing the six focus areas identified in the Serve America Act: disaster services, economic opportunity, education, environmental stewardship, healthy futures, and veterans and military families. Disaster Services.Concerns regarding the preparation, mitigation, response, and recovery efforts that relate to disaster events. Economic Opportunity. Addresses unmet needs of economically disadvantaged individuals, including financial literacy, affordable housing, and employment-related assistance. Education.Topics related to unmet educational needs within communities, especially those that help at-risk youth to achieve success in school and prevent them from dropping out. Environmental Stewardship. Matters regarding energy and water efficiency, renewable energy use, at-risk ecosystems, and behavioral change leading to increased efficiency. Healthy Futures. Addresses unmet health needs, including access to health care, increasing physical activity and improving nutrition in youth, and increasing seniors’ ability to remain in their own homes. Veterans and Military Families. Addresses unmet needs of veterans, members of the armed forces, and family members of deployed military personnel. Please contact your local representative (listed at top of page) in order to find out how to get started as a volunteer. For more information about RSVP program please visit nationalservice.gov and www.illinoisrsvp.org.